SKF India Limited has been a leading global technology provider since 1907. The Company fundamental strength is the ability to continuously develop new technologies – then use them to create products that offer competitive advantages to their customers. They achieve this by combining hands-on experience in over 40 industries with Their knowledge across the SKF technology platforms: bearings and units, seals, mechatronics, services, and lubrication systems. The Company success is based on this knowledge, their people, and their commitment to SKF Care principles. SKF India has dedicated an Application Development Center at Bangalore responsible for customizing products & services. SKF India (SKF) reported healthy Q1FY19 results. While Revenues grew 13.3% YoY at INR 755 crore, EBITDA grew 24% YoY to INR 116 crore. In Q1FY19, Auto contributed 43%, exports 7% & industrial 50% to its Revenues. Net Sales for the Q2FY19 amounted to INR 7660 million as compared to INR 6798 million for the second quarter of the previous year, registering a growth of 12.7%. Profit After Tax amounted to INR 843 million as compared to INR 740 million for the same quarter in the previous year, registering a growth of 14%. 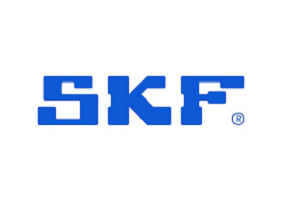 (i) SKF India Limited, Board of Directors in their meeting held on October 24, 2018, approved a proposal for buyback of fully paid up equity shares of the Company. (ii) SKF Buyback shall be on a proportionate basis through the ‘Tender Offer’ method at a price of INR 2,100 per Equity (FV Rs. 10) Share for an aggregate maximum amount of INR 3,990 million only. 1. Firstly, to be eligible for the buyback the investor should have shares of SKF India Limited Buyback 2018 in demat or physical form as on the record date [21.12.2018] 2. Once you have shares in demat, you can participate in the buyback process which is opening from [23.01.2019 to 05.02.2019] by selling your shares through your broker on NSE or BSE. 3. Then on [15.02.2019], the payment will be given to you for accepted shares and unaccepted shares will be returned to your demat account. 1. Buyback Announcement date: 24.10.2018—– Share Price was 1700. 2. 95 Shares bought at Rs. 1700 means an investment of 161,500. 3. Retail Acceptance Ratio was 100%. i.e. out of 95 shares, 95 shares have been buyback by the company. Profit on Accepted Shares= 38,000. 4. Overall we can say a profit of 38,000 on an investment of 1,61,500 in less than 4 months. i did not received contract note , does everyone got conformation ? Read the old messages in the group. Can anyone tell, when will the unaccepted shares will come in Demat a/c? anyone please tell what is the current subscription for skf india buyback? where we can check subscription status? 3.11 times i.e. 5905623 shares against 1900000 as updated on nse. In individual category 479328 shares tendered. When is the settlement of buyback. Is it today? I have not received any mail for buyback. As price moving towards Buyback price then Acceptance Ratio will improve. 1. The Company is Debt Free in term of the long-term debt. 2. The Company has 764 Cr of Cash in books. 3. The Company has excellent Current Ratio of 3.22. 5. At CMP of 1789, the P/E stands at 31. 6. The Company is generating positive cash flows in the last 5 years. Fundamentally the company is very good. It can be a good buy at current levels. 2. In the case of Downturn in Auto demand threre could have some impact on company but company presently has enough demand for what it produces at its two plants. 3. Based on market price of Rs. 1710 today and a buyback price of Rs. 2100 and if estimates of acceptance hold true, there seems to be reasonably good arbitrage opportunity in SKF Buyback. The stock could open gap up tomorrow in view of this and thus the estimated returns will change accordingly. What is estimated acceptance ratio?